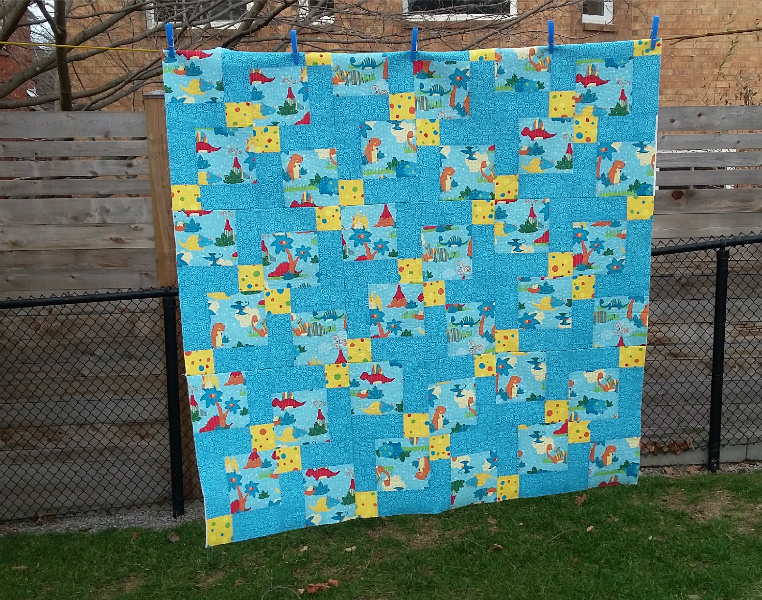 I've been working on a dinosaur D9P (disappearing 9 patch) quilt for OMG since I joined it last month. This month's goal was to finish the last 2 of 9 blocks, quilt them (QAYG), and trim them down to size. 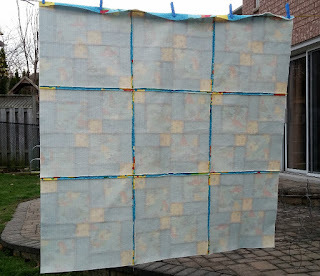 Mission ACCOMPLISHED :) I not only got all the blocks finished and quilted, I also got them stitched together, so I now have a quilted quilt top ready to be birthed and tied :) I hung it on the clothesline to get a picture - it's currently 3C out there with the windchill (feels 37F) :D It was a mite nippy to be out there in t-shirt and sandals, lol. I love this qayg idea. I have some jelly rolls that I hope to use in the coming year. May try this idea out on them. SOMEBODY is gonna be very happy to get this little treasure! QAYG is so convenient sometimes! It looks great! Congratulations on accomplishing your goal! Very nice! 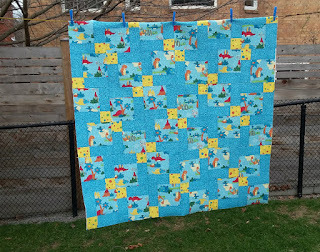 Congrats on finishing your goal and linking up with Elm Street Quilts One Monthly Goal. It is a beauty, and it has been fun watching it grow! Congratulations! Very jealous - not only no time to sew - but the machine is being serviced! thank you for keeping the work in equilibrium and sewing for two!!!! 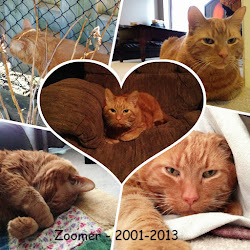 I still haven't made a QAYG quilt. Been on my To Do list for ages. Well done!